A new web-based graphic novel has brought together some of the film and comic industry's top talent to push the boundaries of what's possible when developing with, and using, HTML5-based web browsers. 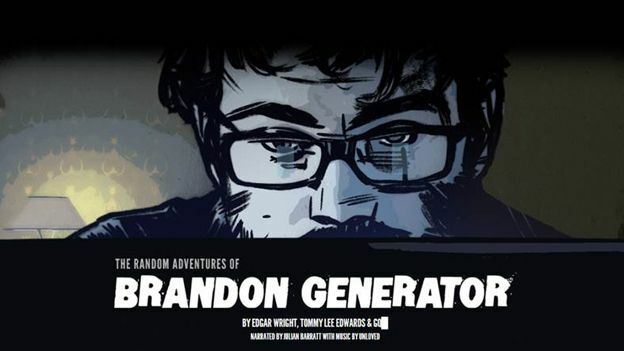 The Random Adventures of Brandon Generator, commissioned by Microsoft to push the benefits of Internet Explorer 9, is part animated graphic novel and part interactive game. The four-episode story is being written by Shaun of the Dead and Hot Fuzz director Edgar Wright and illustrated by Tommy Lee Evans, an artist for Marvel and LucasFilm. It is narrated by one half of The Might Boosh, Julian Barratt. Brandon Generator has been created entirely using Java Script meaning it should work on most devices with no plug-ins required. The story arc has already been decided, but the team is encouraging viewers/readers/players to help shape the story by submitting prose, drawing creatures or leaving voice messages that can help Brandon along the way. User contributions will 'flesh out the details' of the story. Accessing the adventure through Internet Explorer 9 will enable exclusive features through its Pinning and Jump Lists functionality. To check out the first episode and begin contributing to the story, head to BrandonGenerator.com.